Summer is here, which means it is also festival season! 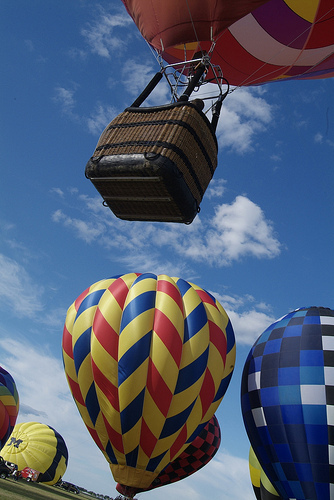 Calhoun County and Battle Creek have many great festivals held every summer. Here is a list of 4 that you should attend this year. 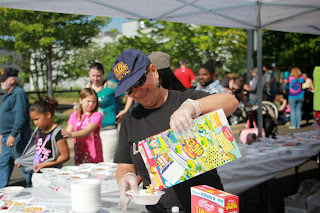 Cereal Festival is one of Battle Creek’s well-known festivals! If you did not know, Battle Creek is the birthplace of cereal and it is celebrated every June with Cereal Fest. The parade t akes place on Friday, while the Festival and World’s Longest Breakfast Table takes place on Saturday. The Breakfast Table is the highlight of the event! There is all-you-can-eat cereal from all three of the cereal companies located in Battle Creek: Kellogg, Post, and ConAgra Foods. On Saturday there are also booths set up, live music, and kids games. Fantasy Forest is a brand new art festival coming to Battle Creek this year! The festival, held at Leila Arboretum, brings chainsaw artists to town to create art out of trees that were damaged by the Emerald Ash Boer. Throughout the week, there will be many different events besides the chainsaw artists. This annual Battle Creek festival is always held during the first week of July. Every night you can enjoy watching balloons take off or fly in at the W.K. Kellogg Airport. There is also an Air Show on select days at the event. If your kids get bored, you can take them to enjoy the carnival that is on site!